How do you fight something when you don’t know what you’re looking for? In June 1982, an expedition team is trapped with something deadly… that’s hiding in plain site. Directing this 109 minute horror/mystery/sci-fi/thriller is John Carpenter. Trying to stay warm and alive is: Kurt Russell as R.J.MacReady, Keith David as Childs, Wilford Brimley as Dr. Blair, T.K. Carter as Nauls, David Clennon as Palmer, Richard Dysart as Dr. Copper, Richard Masur as Clark, Donald Moffat as Garry and Adrienne Barbeau as voice of the computer. A team of American scientists are in the Antarctic on a expedition. When all of a sudden, a helicopter comes towards camp, chasing down a dog and trying to shoot it. Unfortunately, the helicopter crashes, leaving the Americans with no explanation of why the chase happened. They find out the helicopter came from a Norwegian expedition team. After everything settles down, everyone goes back to what they were doing. Later on that day, the dogs start barking, drawing everyone’s attention, so they go to check on them. What the group witnesses can’t be described nor is it something anyone has seen before. Now, more then ever the American team wants to know what the Norwegian team was doing at their camp. Unfortunately, the American team realizes whatever that thing was in the cage with the dogs is now loose among them. Since it came into camp looking like a normal dog, what else can it turn into? Something I didn’t know, the film is based off of a novella called Who Goes There? (1938), which was written by John W. Campbell. Now, Campbell’s novella has been adapted three times for a motion picture. You have the original film The Thing from Another World (1951), The Thing (1982) and a prequel to the 1982 film, The Thing (2011). I’ve seen them all and even though I dig the classics the 1982 version is my favorite. 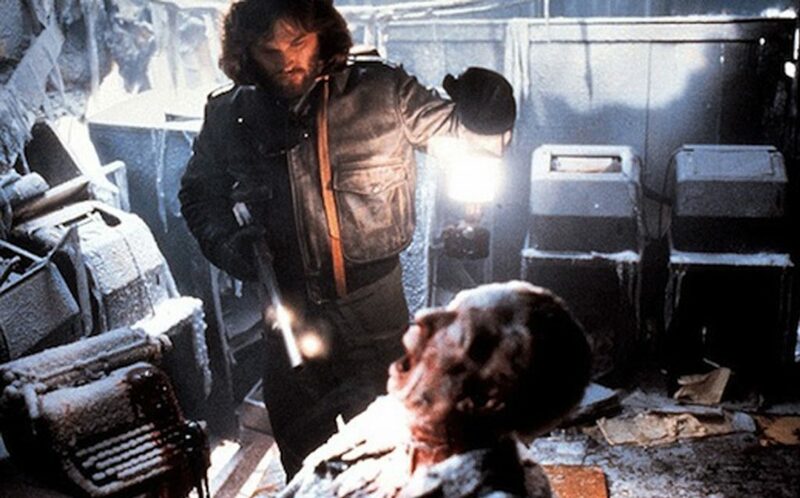 Carpenter’s The Thing was also the beginning to his “Apocalypse Trilogy”, which was followed by Prince of Darkness (1987), and In the Mouth of Madness (1995). He called them the trilogy not because they were related (storywise), but due to the fact each story dealt with a potential apocalyptic scenario that could consume humanity if “the thing in question” ever reached civilization. Even though it didn’t do as well as expected in the box office, it still held a spot in the top ten for three weeks. Part of its downfall could be due to the fact that it was going up against E.T. the Extra-Terrestrial (1982) and Bladerunner (1982) at the time of it’s release. Since then The Thing has gained a cult following and even has it’s own video game The Thing (2002). The third person shooter/survival horror’s storyline plays as a sequel to Carpenter’s film. Bill Lancaster wrote the screenplay for this awesome snow and terror filled flick. Between the story and the effects, you can’t help but be amazed by the outcome of this film. Yeah it’s a alien flick, but it’s also a man against man kind of thing. It shows us what can happen when fear takes hold and how easy we can turn on one another when the smallest amount of doubt is thrown on the table. The playthrough is really good and it keeps you guessing all the way through. Yeah, it has a few slow spots here and there, but things never get boring. Between the story and the action it held my attention the entire time. The cast line-up has some awesome names in it and they all did a really good job. The special effects team must of had their hands full with this project, and it shows because there’s some amazing work throughout the film. 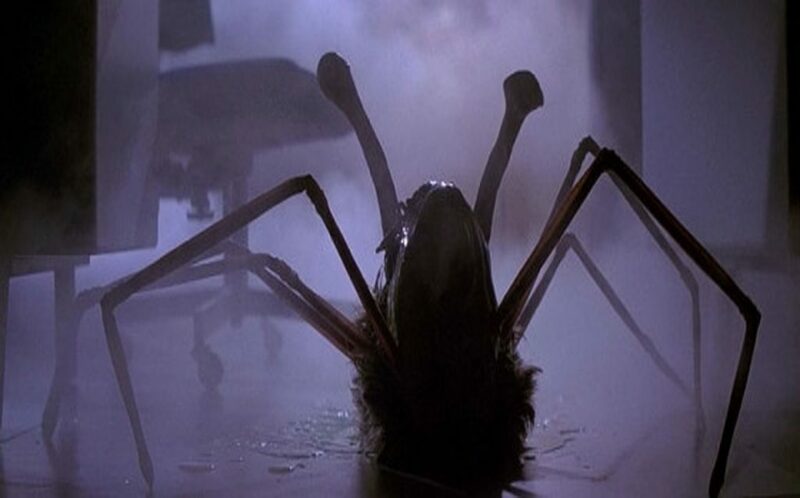 With the constant changing of the thing Roy Arbogast (special effects), Rob Bottin (special makeup effects) and Stan Winston (makeup effects) came up with some truly imaginative pieces. Another element that added to the creepiness of the film was the sound effects of the creature. When compared to some of the films I’ve watched with today’s bigger budgets and “better” special effects (CGI), they don’t hold a candle to the work this film pulled off back in the 80’s. So I’d have to say their hard work on practical effects and stop-motion truly paid off and created a monstrous sci-fi masterpiece that has withstood the test of time. Summary : This is one of those films that I've watched more times than I can count, and it never gets old. This, to me, is one of the best sci-fi/horrors ever made and is a must see. After watching it I'm sure you'll want to make room on your movie rack for it. 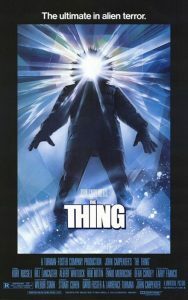 What others say about : The Thing (1982)..
Just my opinion,but give me the 1951 version anyday of the week! All right. I've always thought this is one I need to see. And now I will. Thanks, MC.